In Hagley Park, residents rode their bikes, jogged and walked their dogs -- all just a few hundred meters from where one of New Zealand’s deadliest peacetime shootings took place. 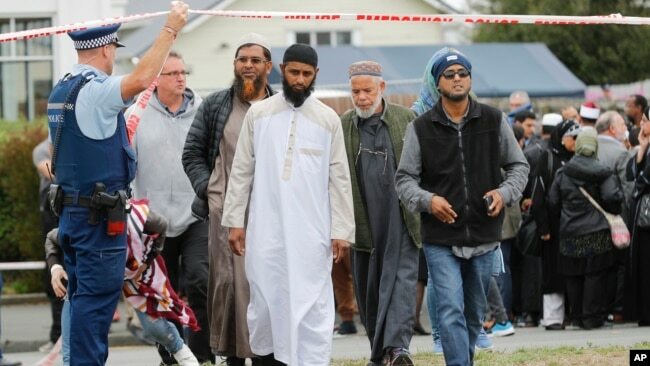 Residents here are struggling to make sense of Friday’s attacks that took place at two mosques, claimed at least 50 lives, left an equal number wounded, nearly a dozen of whom remain in critical care. While the city is planning a major vigil and memorial Thursday, several community-driven memorials have been erected near the mosques, parks and throughout the city, allowing places for people to grieve. These monuments also provide an opportunity for the community to offer its support to Christchurch’s small Muslim population. Dozens of notes and flowers have been placed next to a tree a block from the Masjid Al Noor mosque, where at least 41 people were killed. 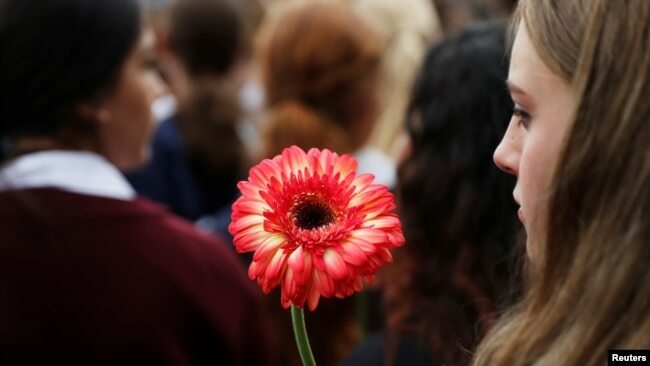 The words of kindness expressed in the note reflect the overall sentiment of Christchurch, and New Zealand overall, toward its Muslim population and immigrants, says Megan Van Tongerer, who was born and reared here. She was working at a restaurant just a few kilometers from the Masjid Al Noor mosque on the day of the attack. She told VOA that as police and other emergency vehicles raced down Bealey Avenue outside the establishment, she felt “on edge” as the horrific details emerged of the attack. Van Tongerer and other servers at the restaurant couldn’t explain why, but the establishment became busier than it had in months in the wake of the shooting. Van Tongerer said that management moved quickly to end that activity. “That’s not the kind of place we are. We didn’t want that here,” she said. She also noted that several other customers voiced objections to people sharing the alleged attacker’s video. Van Tongerer is unsure how the city will move forward and heal following the attack, but is adamant that it must. “If we don’t, we’re lost,” she adds. Since Friday, more than $3.6 million, from nearly 70,000 donations, has been raised for victims of the shootings, according to Givealittle, an online donations site. Maryam Allayar said she was in shock after the attack. She came to New Zealand three years ago as a refugee from Afghanistan and had always felt safe in her adopted home country. Allayar, a university student, knew some of the victims, including the husband and son of a fellow classmate, and others from the school she attends. For the past three days, she said she has been “very scared,” fearing other attacks would occur. Allayar expressed relief, however, at the outpouring of support from the residents in Christchurch, saying she was happy that so many people are being kind. Ann Mintram, 80, expressed similar thoughts following church services Sunday. “We need to keep having a conversation around how we ensure your ongoing safety in the aftermath of this horrific attack,” she added. “We cannot be deterred from the work that we need to do on our gun laws in New Zealand. They need to change, regardless of what activity may or may not have happened with gun retailers. They will change,” Ardern said Sunday. It’s “going to take a long time to get over this,” he added. Despite the tragedy, life in Christchurch continues. People resumed the workweek began on Monday. The City Council, however, warned of inevitable disruptions as the investigation continues. “Please be prepared for delays when traveling in and around the city today. The key areas where you are likely to encounter delays are around Hospital Corner, Linwood/Eastgate and Deans Avenue. These delays are unavoidable so please be patient and courteous,” the council warned.